Loss Control is the general term insurance companies use when talking about safety recommendations. Most often, these are things like loose stairs or missing handrails, torn rugs or carpeting, and overloaded outlets or unsafe use of extension cords. If your business has cooking, your hood & ducts, fire suppression systems, and fire extinguishers would also be considered "loss control". After your insurance is bound, the company may send an inspector out within a few weeks to give them a better idea of the risk they are insuring. Sometimes, after the inspector files his or her report, the company may issue Loss Control Requirements. These can be mandatory changes you must make, or some may just be recommended changes for you to consider. View "mandatory" loss control requirements here. In recent years, most companies have really began enforcing the already existing rules regarding loss control compliance. All companies have these requirements in their policies, they're standard language in the policy forms, but some may not inspect each year, and therefore aren't as diligent in making you adhere to these rules. If a company does find that your equipment is past due for servicing upon inspection, notify you of the need to get the work performed, and you do not get the equipment serviced in time, the insurance company will cancel your insurance. Quite simply, because in the event of a claim, they want someone to be held accountable, and they don't want that to have to be you. If your hood & ducts were just serviced by a licensed contractor, and a week or month later your establishment has a fire because of a grease buildup, the insurance company may choose to litigate against the contractor. Conversely, if the company stipulates in your policy that the fire suppression system must be serviced every six months, and you haven't had yours looked at in a year, you'd better hope you don't have a fire. If your equipment is out of compliance at the time of the loss, your claim is likely to be denied. The company would likely deem that you were in violation of the terms of your policy and therefore you would not have coverage. Maybe you have had coverage refused or cancelled because you didn't have the right kind of fire suppression system, or the wrong type of extinguisher in your kitchen. 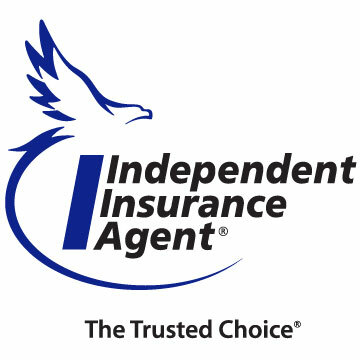 It's not your insurance company that actually makes the rules, they can only control how diligently they enforce the existing rules on their customers. The governing body that looks at figures and statistics about fires and sets the standards is the National Fire Protection Association. Other similar organizations are the National Association of Fire Equipment Distributors and the National Fire Sprinkler Association. If you're interested in learning more about how they set their guidelines and why, follow the links provided. Watch an interactive tutorial on different types of fires, and the methods and extinguishers used to fight them. Industry definition: What's the difference between warming food and cooking food.